Flossy O’Reilly, a retired school teacher, has lived her whole life in Great Village, Nova Scotia, and it’s here that she chooses to live out her days, with only her best friend and estranged brother as company, reading and rereading the Elizabeth Bishop books that litter her house. It’s only when an unexpected young house guest arrives that she is pulled from her self-induced inertia and forced to confront the tragedies of her past and the family secrets she’s been keeping for years. 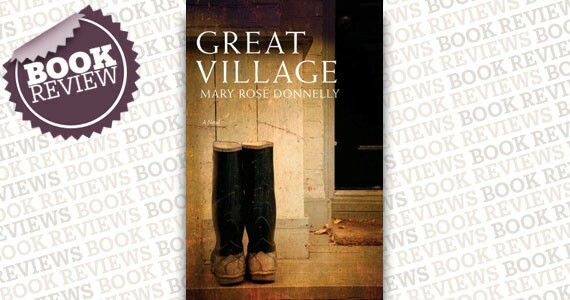 Mary Rose Donnelly’s debut novel is measured and rich, with sentences that creep up on you, and poetic passages that leave images imprinted on the backs of your lids. It doesn’t so much matter what happens with Flossy O’Reilly, as long as Donnelly continues to write such beautiful and insightful prose readers will be content lapping it up, whatever form it comes in.